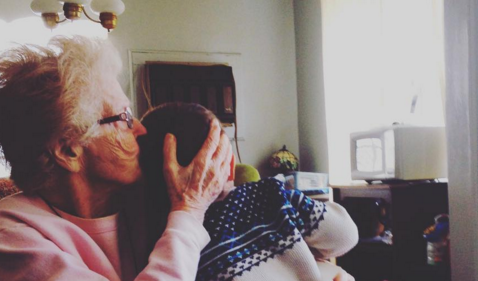 His parents didn’t want him, so his grandma took him in. He came up with a great way to thank her! You won't believe this story. This moving experience was shared recently on Facebook. "For some time now I have had someone from our congregation bring me a rose boutonniere to pin on the lapel of my suit every Sunday. Because I always got a flower on Sunday morning, I really did not think much of it. It was a nice gesture that I appreciated, but it became routine. One Sunday, however, this ordinary act became very special. At first I did not know what he was talking about, but then I understood. I said, “Do you mean this?” as I pointed to the rose pinned to my coat. He said, “Yes sir. I would like to have it if you are just going to throw it away.” At this point I smiled and gladly told him that he could have my flower, casually asking him what he was going to do with it. This little boy is thankful for something that many people take for granted: Love and a sense of belonging. Usually, he'd get this from his parents, but even though he was abandoned, he seems to still believe in the goodness of other human beings. It makes you wonder how parents could be so cruel, but thankfully this grandma stepped in and saved the day. Sounds like they have a very special connection. Share this moving story with your loved ones.